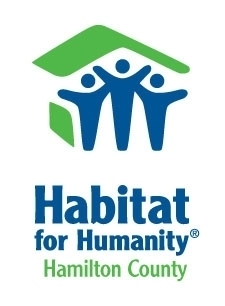 A team fundraising campaign for Habitat for Humanity of Hamilton County. Since 1991, Women Build volunteers from all walks of life have come together to build stronger, safer communities. Though our neighborhoods are comprised largely of women and children, they are also the population's most likely to be affected by poor living conditions. Our Women Build event provides the opportunity for women to take a proactive step in serving their communities. Women Build is also a terrific way to involve your friends and family of all ages in crucial work with a lasting impact. Women helping women sends a positive and powerful message. Are you able to help support the Women Build 2018? With the help of our Partner Families, our community and supporters like you, we will be building a home in Home Place this year. This will allow us to provide affordable housing for a deserving families in Hamilton County. We are excited to work alongside them as they build their home. Read learn more about our partner family, Sharifa, click here. Habitat for Humanity of Hamilton County’s mission is to partner with low-income, hardworking families in Hamilton County under the conviction that every person and family deserves a simple, decent, and affordable place to live. Habitat homeowners pay interest-free, no-profit mortgages, which are used to build more Habitat houses. Because houses are principally built with volunteer labor, mortgage payments are affordable for low-income partners. JOELLE CRAIGWELL gave a $53.04 donation to support Jen Petersen to support Team Swing, Hammer, Hammer! Jeff Zylstra gave a $20 donation to support Kristin kepler to support Team Swing, Hammer, Hammer! Margie Knutson gave a $25 donation to support Jen Petersen to support Team Swing, Hammer, Hammer! Jenny Iszard gave a $53.04 donation to support Jamie Woodruff to support Team Swing, Hammer, Hammer! 12 months ago · Like · 1 person likes this. john petersen gave a $106.91 donation to support Jen Petersen to support Team Swing, Hammer, Hammer! dedicated to Charlie and Katie. Mary Orcutt gave a $25 donation to support Jen Petersen to support Team Swing, Hammer, Hammer! Roy and Judy Hohman gave a $53.04 donation to support Jamie Woodruff to support Team Swing, Hammer, Hammer!